For all the bouncy seats, swings, baby gyms, and strollers that crowd your house, I’m willing to bet that baby spends much of her time being toted around in-arms. They love it. We love it…sometimes. Other times though, you need a hand for the toddler, or you have to do the dishes, or you just want to make yourself a sandwich. Enter, baby carriers. Parents have been using tools to keep themselves hands-free while carrying babe since the beginning of time. A carrier should definitely be high on your list of baby essentials. Stretchy wraps hug your baby to you with three layers of cozy, stretch jersey. Brands you may encounter at Half Pint include Moby, Boba, Sleepy Wrap and K’Tan. There are slight variations in feel, but these all function the same. These types of wraps are great for newborns. They’re soft, snuggly, and very secure. On the other hand, stretchy wraps can feel quite hot (not a big problem for fall/winter babies). They are also only safe for carrying on your front and often feel unsupportive once baby reaches roughly 15 pounds. The big sister to stretchy wraps is woven wraps. These wraps are woven, not knit, and therefore do not have the same give that allows you to pre-tie a stretchy wrap and pop baby in and out. 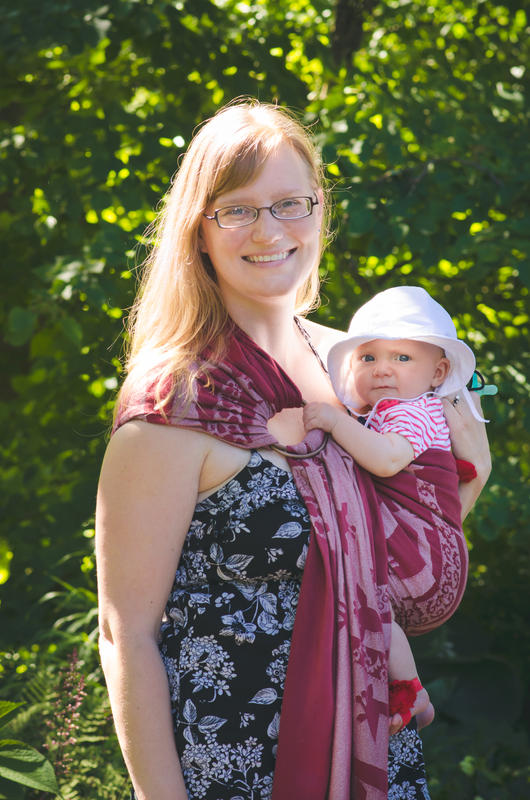 However, woven wraps are much more supportive, retain less heat, and will last throughout your babywearing days. 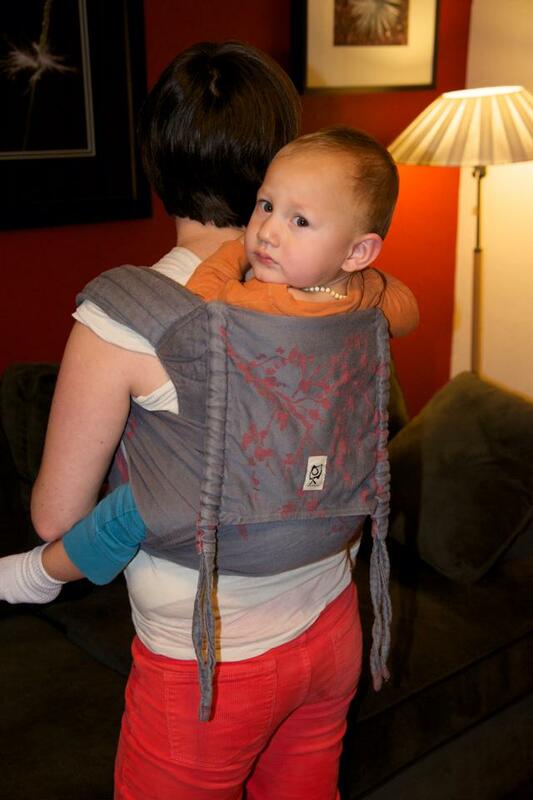 With a woven, you can tie it in innumerable ways to carry baby on your front, hip or back. Wovens are much less common at Half Pint, but you might come across one (look for brands like Wrapsody, Dolcino, Storchenwiege, or Didymos). There are two types of slings: ring slings and pouch slings. Of these, a ring sling is a much more versatile and long-lasting choice. Ring slings are AMAZING at what they do. Lovely for tiny newborns, the easiest carrier for nursing, and perfect for toddlers who want up and down all the time. 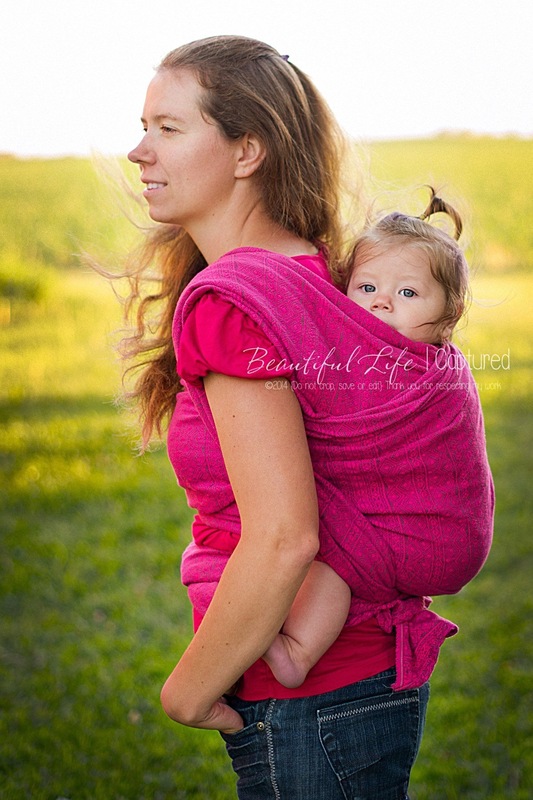 Ring slings are quick and infinitely adjustable for the perfect fit at any age. The down side is that it is a one-shoulder carry, so it’s not good for hiking or long-term wear with a heavier child. Pouch slings are basically ring slings with the adjustability taken out. Common brands include Seven Slings and Peanut Shell. They fold up very small, and are easy to toss in a diaper bag or a glove compartment. However, since they are sized, it’s hard to share one sling between partners. 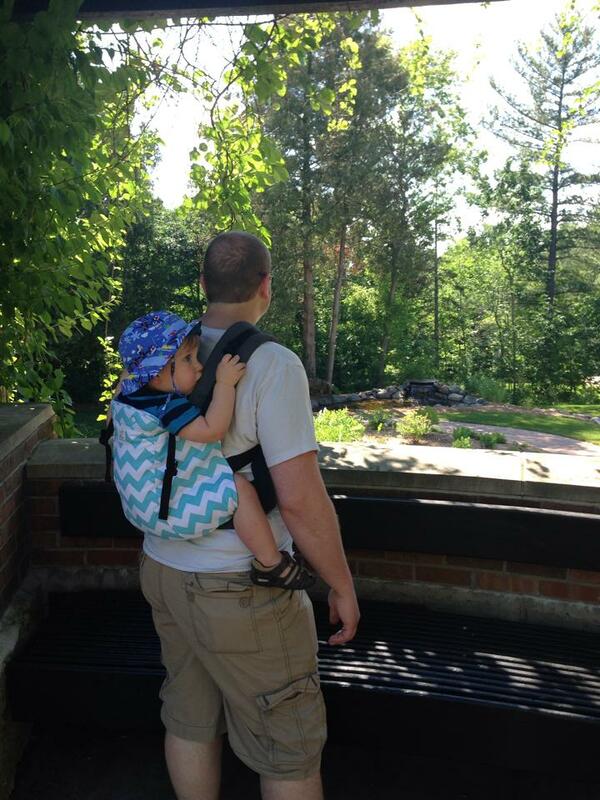 Also, pouch slings work better for older babies with head control and who can easily sit on your hip. SSCs go FAST at Half Pint, so if you’re hoping to score one, head to the baby carrier section first. The most ubiquitous brand we see is the ErgoBaby, but other brands such as the Beco, Boba, and Tula are fantastic choices too. SSCs are quick, convenient, and intuitive to use – if you can wear a backpack, you can figure out an SSC. Babies can grow from an infant riding on your front to a toddler riding piggyback and enjoying the view. You can make an SSC work with for newborn, but they are much more functional when baby reaches 4-months or so. Mei tais are awesome! They’re similar to an SSC, but instead of a waist strap that clicks and backpack-style arm straps, they have a tie waist and long shoulder straps that you wrap around yourself and tie. This allows mei tais to be shared between partners easily because you never have to readjust the sizing. You also tend to get a snugger, tighter carry than with an SSC. They straddle the gulf between wraps and SSCs. Pretty convenient, but also nice and cozy. Mei tais can be used from birth and can position baby on your front, hip or back. Brands you might find at Half Pint include Infantino, BabyHawk, and CatBird. You’ll find a whole host of frame packs by brands like Kelty at Half Pint. These are too cumbersome for day-to-day wear (try to stash that in your stroller basket or diaper bag), but they are a great choice if you’re doing some true hiking. 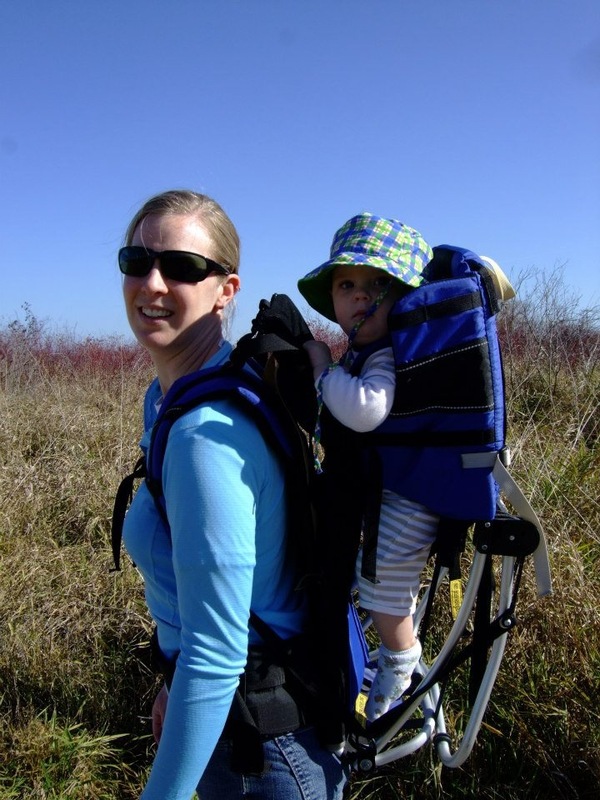 Frame packs give babies a great view of their surroundings, keep you and baby separate so you’re not sweating on each other, and often include some storage. Due to their construction, frame backpacks are only for older babies starting at 10-12 months. On great thing to remember is that baby carriers tend to have very good resale value. So don’t be too afraid of making the “wrong” choice. If you want to try something else down the road, you can easily sell what isn’t working anymore. Happy shopping and happy wearing!